the 73-74 season, only to lose to the Philadelphia Flyers. defensive style, which they had to use since offensive players were hard to come by at this point in time. 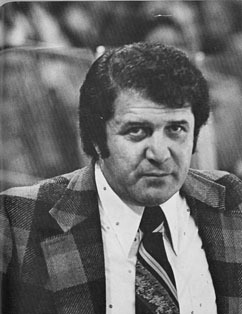 He would go on to coach the Edmonton Oilers in the WHA for one season. He passed away just before Thanksgiving in 2008. The cause is unkown at the moment.